With cyber attacks and natural disasters threatening your data at every turn, being prepared with a disaster recovery plan is your best defense. Having a plan can prevent debilitating data and financial loss and give you peace of mind while running your business. 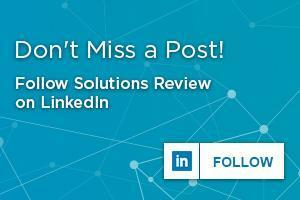 Creating a disaster recovery plan from scratch is a daunting task. Luckily, there are free examples of these plans online. Instead of having to search for one that works for you, we’ve compiled a list of the top 10 free disaster recovery plans online. 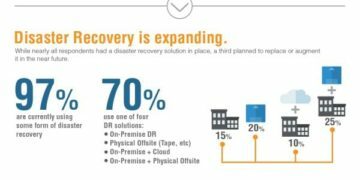 Search Disaster Recovery offers a few different kinds of recovery plans, spanning business impact analysis, pandemic recovery, and business continuity. However, their IT disaster recovery plan offers a comprehensive step by step guide to prepare for the worst. 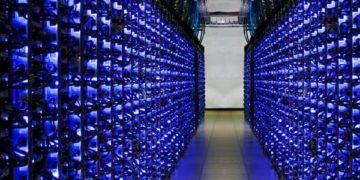 IBM separates their plan into 13 sections of what is necessary for disaster recovery. If you feel confident in some areas, but less so in others, you can pick and choose which sections would be the most useful for you. Ontrack, a tech blog, posted their own disaster recovery plan template. It allows you to personalize your plan by filling out the template, while also offering tips in the headings of the subsections. Adams State College has made their plan public online. While it applies to the college specifically, the plan is so extensive that anyone looking to create their own recovery plan could glean from it as an example. Disaster Recovery Plan Template offers, as one would expect, disaster recovery plan templates. Their basic recovery plan provides templates to make the plan specific to your needs, as well as step by step instructions that apply to all businesses. The Council on Foundations provides a template that is completely comprehensive; assigning disaster roles to employees based on their job, outlining business impact analysis, and building evacuation procedures. SANS Institute has a plan that provides an outline of what should happen in a disaster situation. If you need light structure or something to fall back on when creating your own plan, this one would be helpful. The state of Oklahoma’s disaster recovery plan is an in-depth strategy. Because the plan is so comprehensive, using it as a model would be helpful, especially for larger companies. In addition to offering a basic disaster recovery plan, Disaster Recovery Plan Templates also offers a recovery plan specific to IT. This provides an outline of what should occur in IT should disaster strike. Like Adams State College, Southern Oregon University has a public disaster recovery plan. While again, this plan is specific to the university, it offers guidelines on how to handle disaster recovery. Being prepared with a disaster recovery plan is one of the best ways to maintain business continuity and protect your data, so why not get a jump start on it for free? 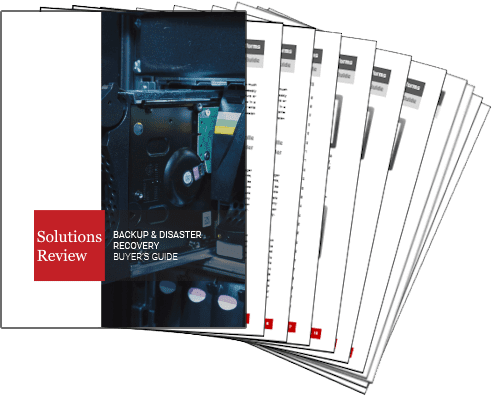 If you find a plan from this list, consult our Buyer’s Guide for more information on backup and disaster recovery solutions here.